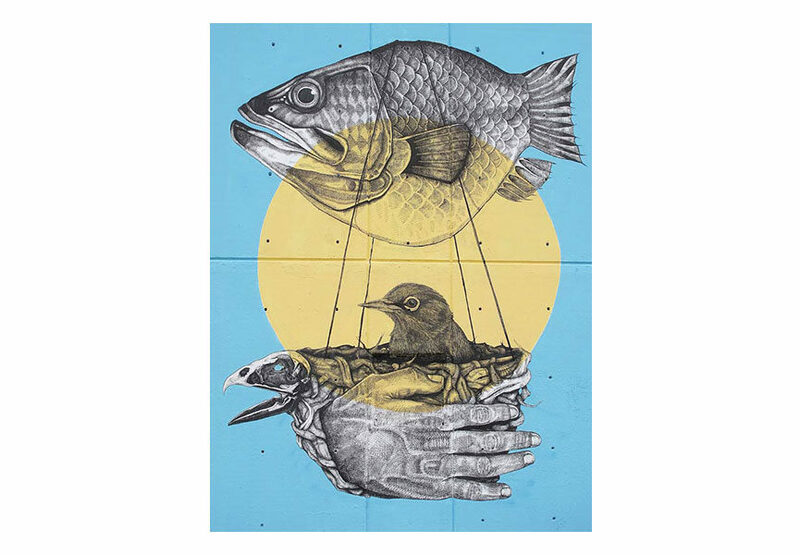 The recently established gallery RexRomae in London has chosen to present a two-man show featuring the work of Puerto Rican muralist Alexis Diaz and Argentinean street artist Jaz. 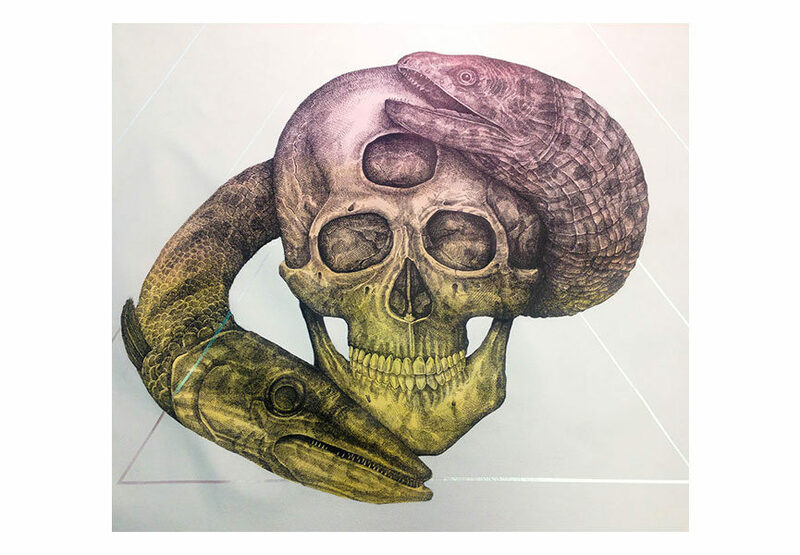 The exhibition, titled La Linea, opens on March 6th and goes just for a week. 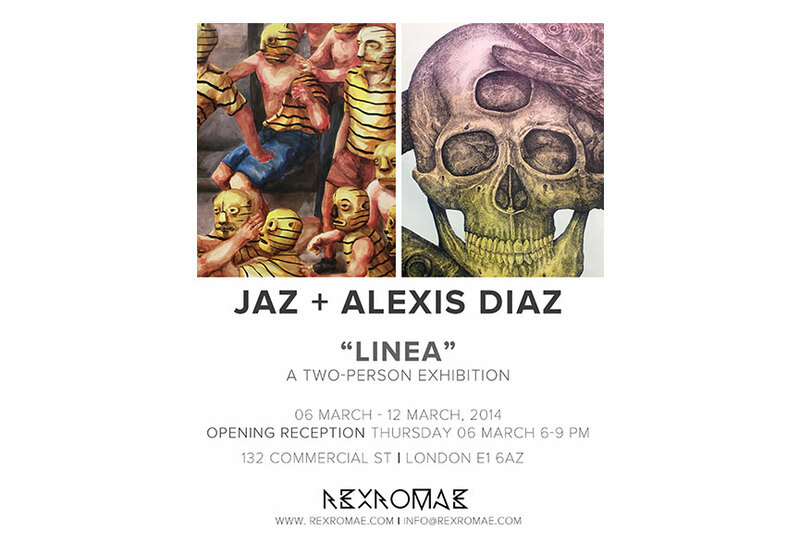 Both artists will exhibit new works on canvas and paper, and Diaz will drop a limited edition print at the opening. Puerto Rican muralist Alexis Diaz, renowned for his meticulous attention to detail, will present several new works on canvas. Diaz’s surreal work incorporates thousands of tiny linear brushstrokes atop sharp bursts of color to establish remarkably corporeal depictions of zoo animals with human elements. 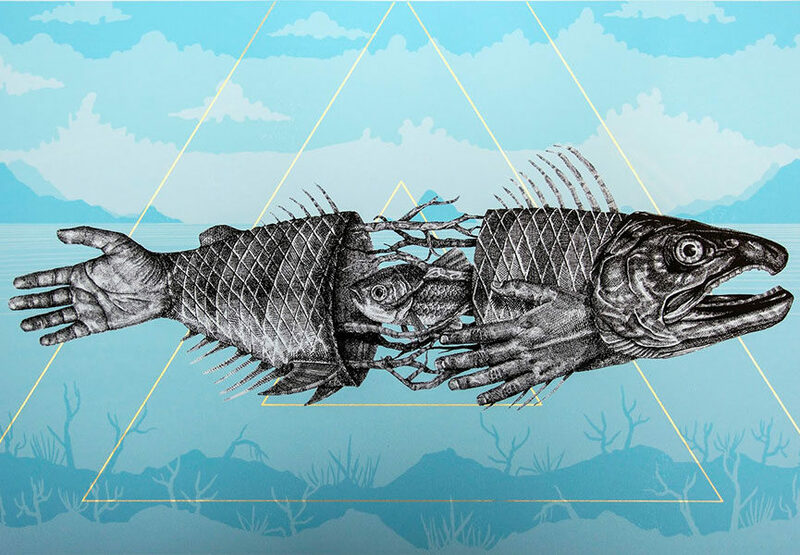 He merges different species, line by line, to form phantasmagoric hybrids, impressively detailed. This fine detail can only be fully appreciated by viewing Diaz’s art in person. Jaz (Franco Fasoli) is recognized as one of the first major writers to begin working in the streets of Buenos Aires in the mid 1990’s. 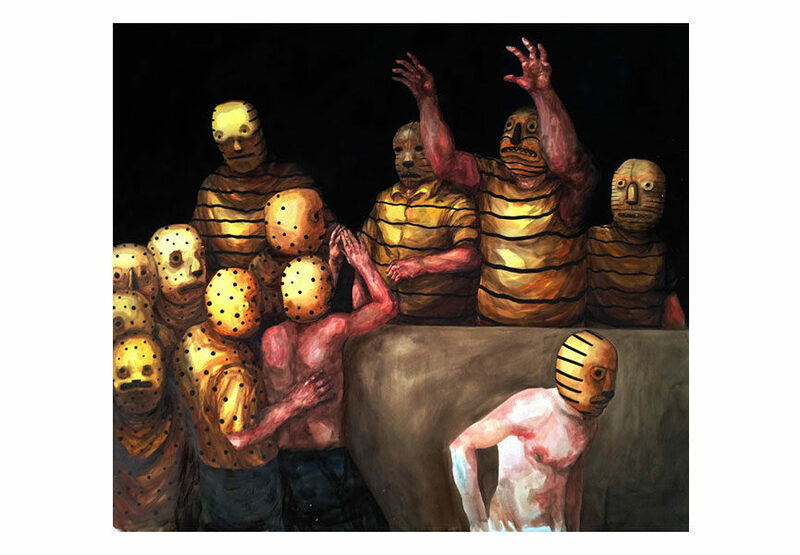 He moved away from letter-based graffiti and began experimenting with figurative pieces inspired by Argentine culture. Today, his huge painterly murals have set him apart from his contemporaries. Recently, Jaz’s focused on the topic of hooliganism within football. 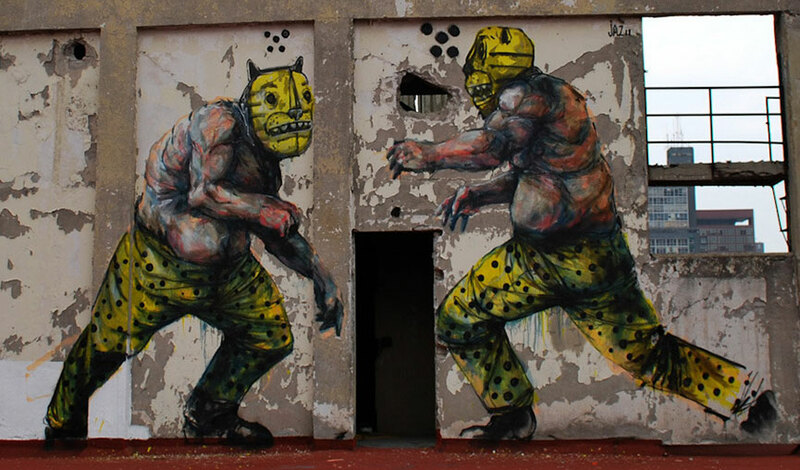 As part of this exhibition, he displays several new works featuring “lucha libre” style wrestling part-man, part-beast figures locked in combat throughout the city. 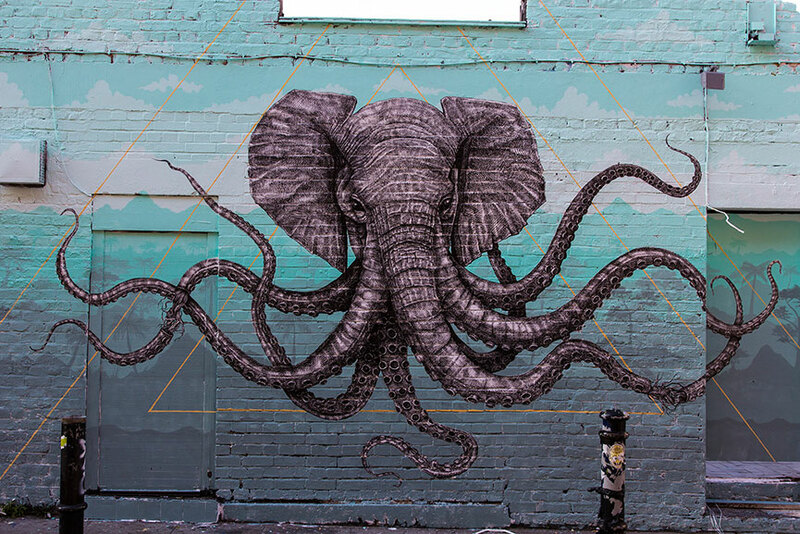 RexRomae is an urban contemporary art gallery project that began in 2014. The gallery’s innovative schedule of pop-up exhibitions in vacant spaces across London replicates the ephemeral ethos of urban art. 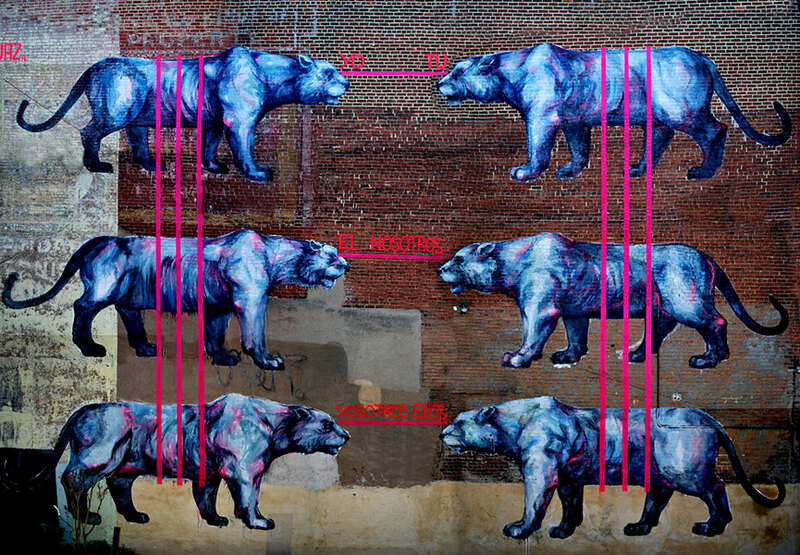 Showcasing paramount emerging artists, RexRomae is a laudable addition to London’s vibrant art scene.